It was nice to enjoy another ribbon for Alana today , at the Conroe art league show. I also filled my class for March, alot of new students I am not familiar with, should be interesting. 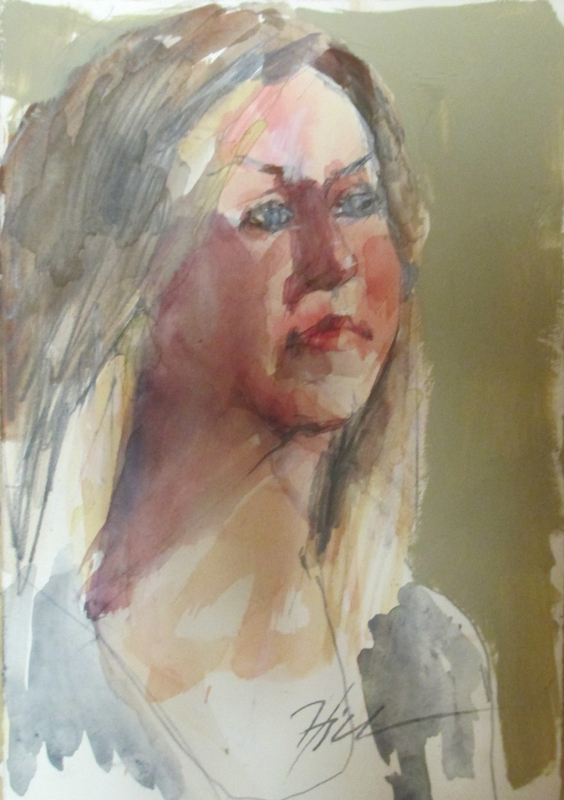 This piece was also chosen for the art grant program for the high school, alon with 17 other entries. It was a fun event, but alas it was not chosen by the students to buy. Looks like I'm going to have her around for a while. Would, however be excited to sell it at any time. I have done so much drawing this week, even had ballet dancer this morning, am way behind on posting. This was Monday's model that was really a beautiful woman. Have also been attempting to post some of my drawings/paintings to sell on the interenet. It takes me so much time to do it, would never have time to draw and paint if I continued it. 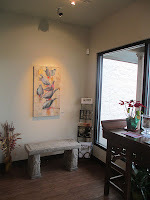 These are pictures of the beautiful gallery owned by Nina Mihm in Austin. 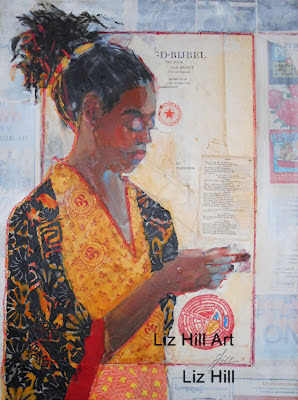 She puts on a beautiful show and my work will be there thru the end of the month. Tell her hello from me if you make it. 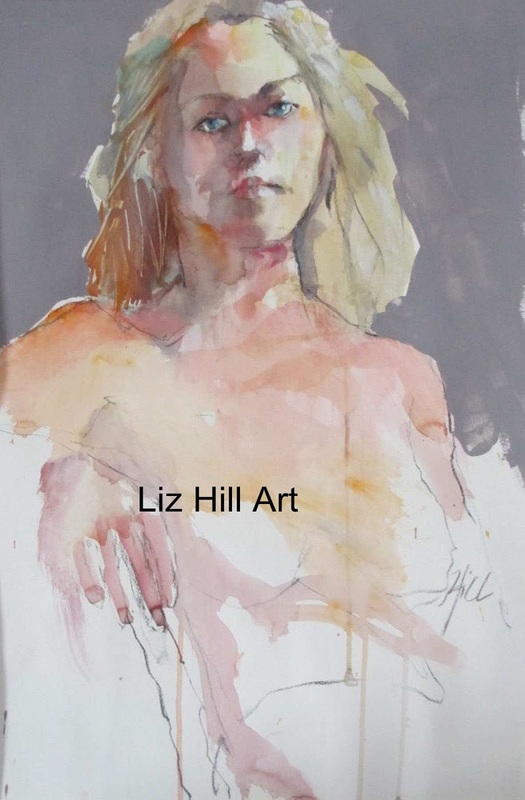 Got the email that this piece got in the international show at the Watercolor Society. I enjoy this show, it is always fun and there is work from all over the globe, surprised this made the cut. Have posted this on facebook, but am looking for friends in Austin that can come by and see me on Thursday. 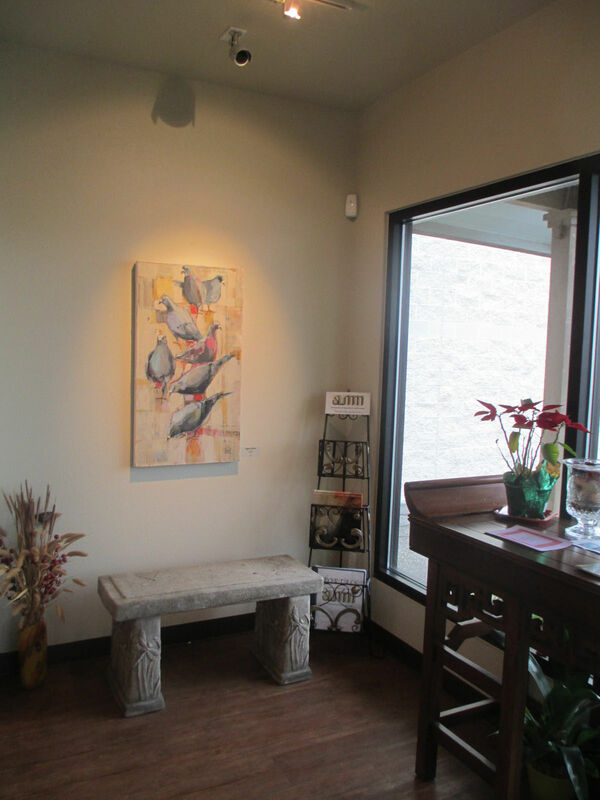 Dragonfly Gallery is a beautiful little gallery in Austin.